First datamined legendary from Warlords of Draenor F&F Alpha. Obviously a test item. 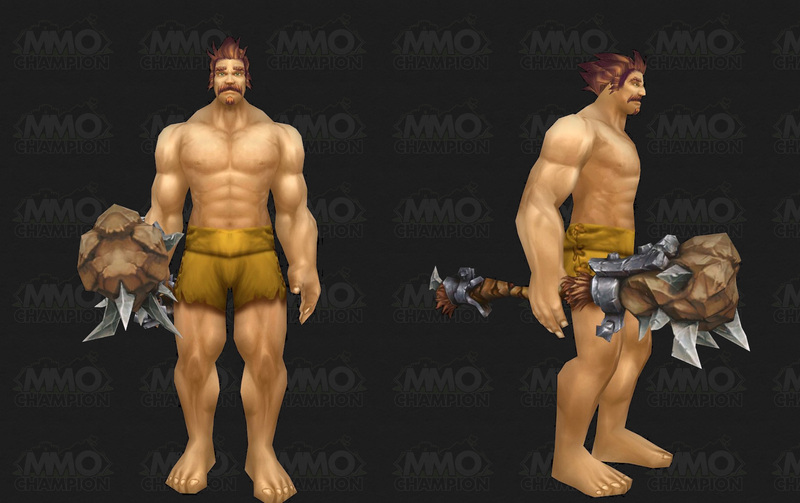 Fudgehammer is first datamined legendary item from WoD Alpha. item is usable for Warrior ,Paladin ,Death Knight,Monk,Druid. Downrate by all means, but not a 'legendary' name that I can take seriously - sorry. Sadly, the weapon loses 50% of the attack power (2->1) bonus in challenge modes so I'd recommend getting a Purple one with sockets. edit: Why is the downvote? That tooltip is made of pure win. IF they add a Fudgemourne in there, I'm seriously gonna Squee. Can't wait to beat someone over the head with my ! Endorsed by Tom Cruise while packing fudge. Sometimes all you need is a title to strike fear amongst men. Imagine a Tauren walking down the street, having Fudgehammer with a nametag. - You probably say "Please, engrave your name to my boobies!" Imagine a Tauren walking down the street, having Fudgehammer with no nametag. - You probably say "Hey noob, you should really drop the stick and buy at least some common weapon in a vendor. At the time this comment was sent, this weapon and a legendary Timeless Back (for example Gong-Lu, Stärke von Xuen) are the only items, that are ilvl600 available for players level 90. Sadly, the legendary back is overpowered while the Fudgehammer has only the "Legendary Name". Probably going to have it's own achievement. Good to slain critters, anyways. "It is called the Fudgehammer because when its owner takes it into battle, it spells candy for the enemy." The last of the Fudgehammer line will use it to bring first sweetness and then stomach pain to the orc people. Then it will pass into the hands of one who is not of the Candyland clan, all will change again, and it will once again be used in the cause of confectionery. resist the temptation to bite into it. Anyone else notice that monks can use this 2H mace? even tho on live they cant use 2H mace only Staff and polearm? Last wielded by Orgrim Fudgehammer. "[Legendary weapon of Warlord Blackhand. Legendary status derived from its name, not its power.]"